As far as the exterior styling changes are concerned, subtle is definitely the word to use to describe them. After the recent announcement of a 30th anniversary Vitara, Suzuki has now revealed details of a refreshed version of the Vitara for the 2019 model year. As well as a subtle facelift there’s also a revision of the SUV’s engine lineup, along with numerous technical and specification updates. Perhaps the biggest change to the Vitara for 2019 is the ditching of the 1.6-liter petrol engine, which is to be replaced by 1.0-liter and 1.4-liter engines taken from other models in the current Suzuki family. The 1.0-liter Boosterjet engine is borrowed from the Swift and produces 81kW and 169Nm of torque, while the 1.4 is also found in the S-Cross and provides 102kW and 219Nm of torque to the new Vitara. 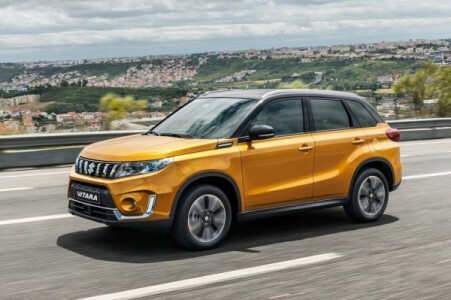 The smaller of the two engines will feature in the entry level SZ4 and mid-range SZ-T versions of the Vitara, with the larger 1.4-liter unit being the standard powerplant in the top-of-the-range SZ5. Those who want to take advantage of Suzuki’s ALLGRIP all-wheel drive system will find it as an option for the SZ-T with a manual gearbox. Range-topping SZ5 models will also come equipped as standard with the likes of lane departure warning and prevention, traffic sign recognition and rear cross traffic alert. 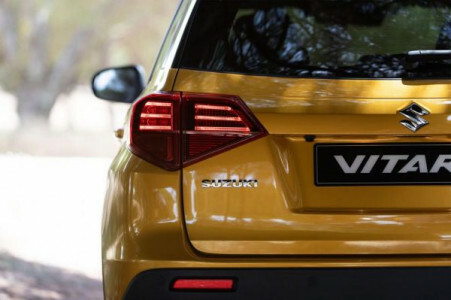 The 2019 Vitara gets a redesigned front grille with vertical slats, a front bumper with a new lower section, and some new headlights representing a redesigned lighting signature. There will also be some new designs of alloy wheels and a couple of new paint colors for buyers to choose from. There are a few enhancements to the interior too, but they’re probably even harder to spot. They include a redesigned instrument panel with a color TFT screen between the dials, and some higher-quality materials have been used by Suzuki for the upper part of the instrument panel. This isn’t just an important vehicle for Suzuki; it’s actually an important vehicle to global motor industry. The Vitara is now sold in an incredible 191 countries and regions around the globe, and the nameplate has now sold more than 3.7million units worldwide since it was introduced in 1988. The revised 2019 model will be landing in showrooms from September of this year.